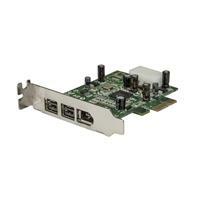 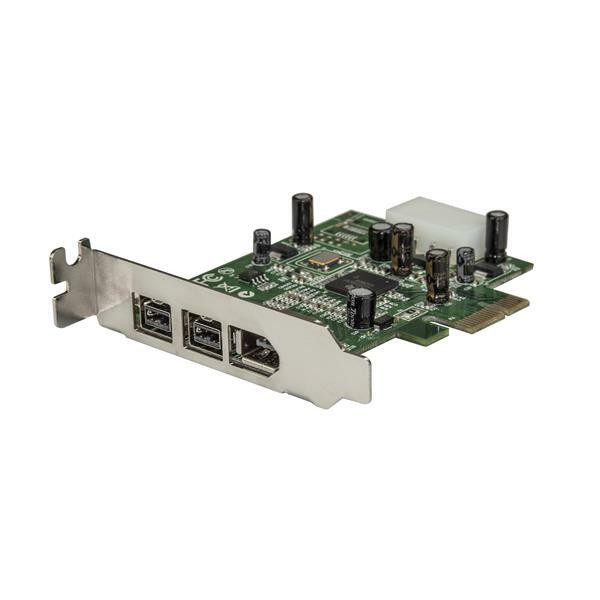 This 3 Port PCI Express FireWire card comes equipped with a low profile bracket for installation in small form factor PCs, and includes an optional full-size bracket for installation in a standard-sized PC case. 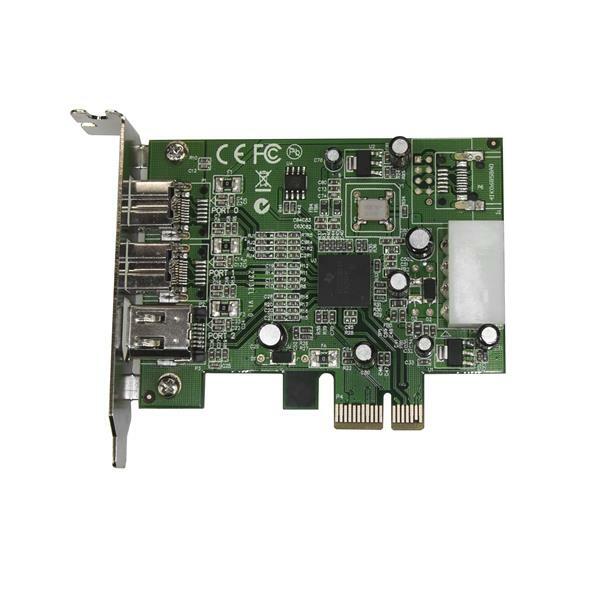 The FireWire card can be installed in a PCIe slot to add two IEEE1394b (FireWire 800 - 9 pin) ports and one IEEE1394a (FireWire 400 - 6 pin) port, providing broad compatibility with a wide range of FireWire devices (e.g. 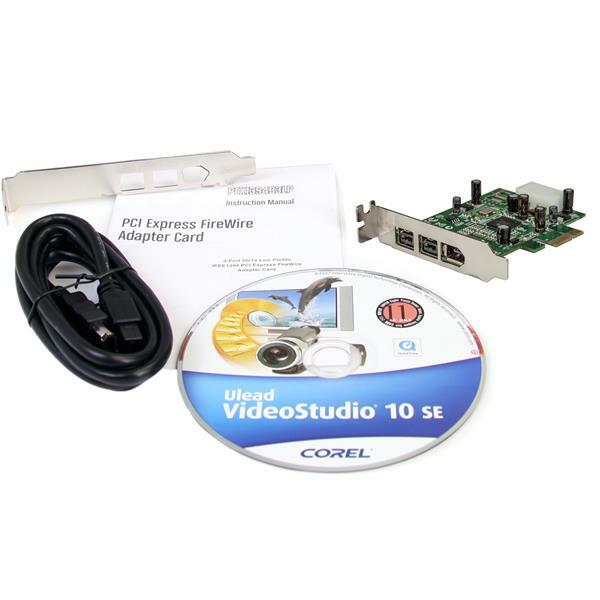 DV camcorders, external hard drives, digital cameras, etc.). 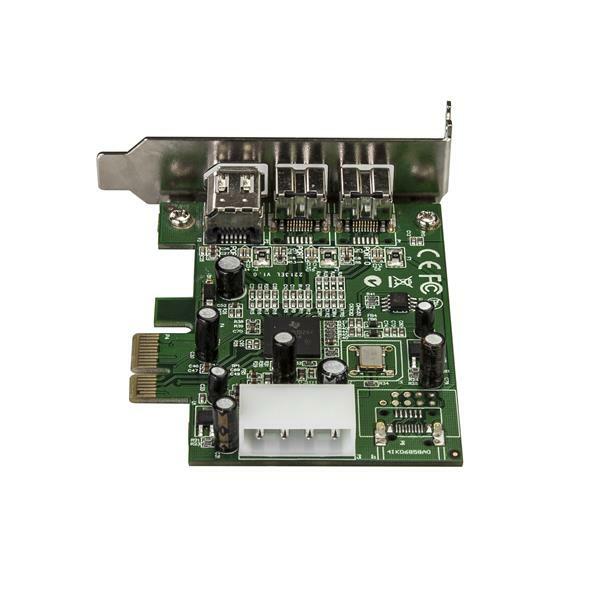 The 2x FireWire 800 and 1x FireWire 400 card features a native (single chip) PCI Express chipset, which provides faster, more reliable and cost-effective performance than expansion cards that utilize a "bridge" chip.